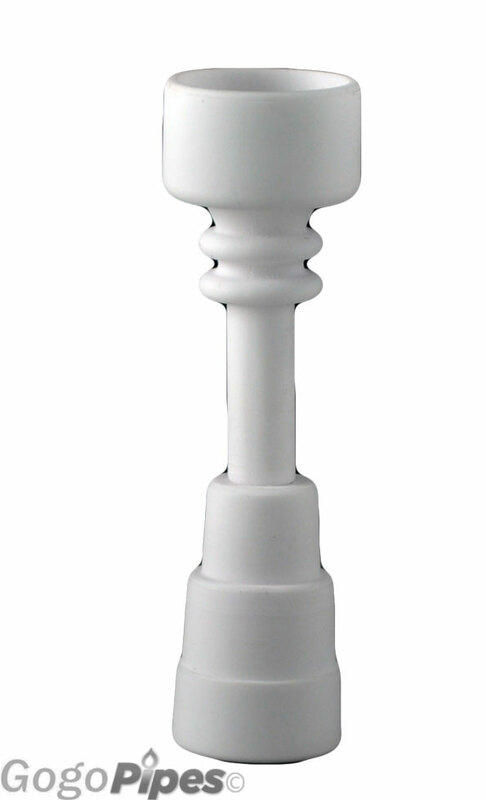 This ceramic nail is domeless and fits 18mm and 14mm joints. This is made of high quality ceramic and will fit in the both water pipes sizes. Lightning Fast Shipping. Pros: Retains heat, great dabbing area within the bowl nice air hole through the nail, really nicely made. You guys make me blush cannabis green hehe thank you! Cons: hmmm,..need to be more pessimistic cause i love it! Pros: Taste. Price. Quick shipping. Cons: Already cracking after the gentlest of use.. I knew the lifespan of ceramic was low but my last domeless ceramic lasted longer before cracking I think. Comments: If you get this to try ceramic, go for it. You'll love it. Tastes great, nail stays hot for awhile, you'll fall in love with it. But get a few. You'll need them.